The pH of Kombucha and other ferments can reveal how your fermentation process is flowing. To make sure you are getting the most accurate reading, recalibrating your meter from time to time is important. Each sachet contains enough solution to calibrate your meter once. 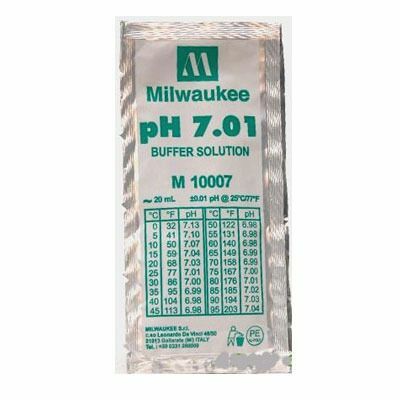 One complimentary sachet is included in every order of the pH 600 electronic meter. The PH solution is a must to have complete confidence in your meter. Great for final adjustments to your meter prior to checking your Kombucha !! I love the video you sent in an email so I'd know how to calibrate my meter and to keep it working. Thank YOU! Ph meter works flawlessly. It was easy to calibrate. Highly recommend this meter.